Completely shocked, surprised, and speechless to be awarded the annual Enrique Lima – MCT Community Service Award for 2018. 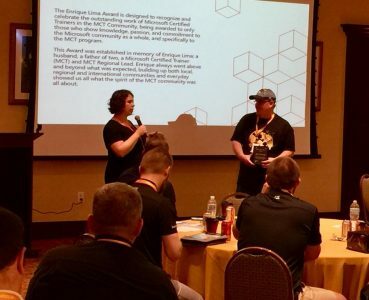 The award was presented by Allison Kraker (MCT Program Manager) during the MCT Day right before the start of Microsoft Ignite. 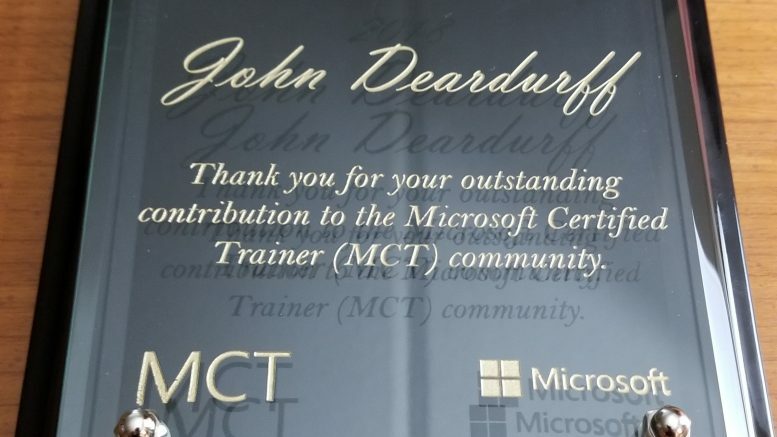 This is an incredible honor to be chosen by the worldwide MCT Community. Enrique always joked that I was the other MCT Regional Lead from Indiana. To be honest, I wish this award did not exist and that my friend was here attending Microsoft Ignite in person. But he is not and this award exists so we can honor his spirit and his passion for the MCT community. Be the first to comment on "Enrique Lima Award 2018"